Beware of light thoughts of sin. At the time of conversion, the conscience is so tender, that we are afraid of the slightest sin. Young converts have a holy timidity, a godly fear lest they should offend against God. But alas! very soon the fine bloom upon these first ripe fruits is removed by the rough handling of the surrounding world: the sensitive plant of young piety turns into a willow in after life, too pliant, too easily yielding. It is sadly true, that even a Christian may grow by degrees so callous, that the sin which once startled him does not alarm him in the least. 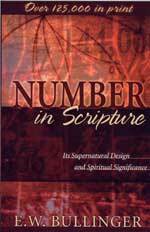 This classic reference book on Biblical numerology provides a complete synopsis of the spiritual significance of numbers found in the Bible. Did you know that Satan got his fascination with numbers and many of his definitions of certain numbers from God's consistent usage of numbers? Truly, Satan never had an original idea; he just copied from God. Christians worship the Creator Who created numbers, while Satanists ignore the Creator and worship the creature (Numbers) instead. 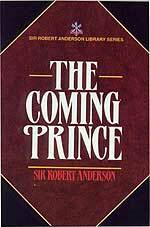 Sir Robert Anderson meticulously details this most incredible prophecy, and then reveals what Daniel 7 has to say about Antichrist, featuring a complete chronology. * "Best of Cutting Edge DVD's" - 4/DVD Set Saving You $17.00! --- Regularly $95.96, On Sale $79.96 -- Set contains almost 8 hours of instruction! 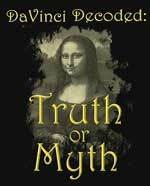 "DaVinci Decoded: Truth or Myth" -- Millions of people have read Dan Brown’s best seller, the DaVinci Code. This book, though a novel, claims to be based on historical facts that not only question, but blatantly attack the deity of Jesus Christ and the divine inspiration of the Holy Scriptures. The simple fact of this matter is that Antichrist cannot arise and successfully claim his lineage back to King David without people believing the Merovingian Blood Line lie taught by the DaVinci Code. 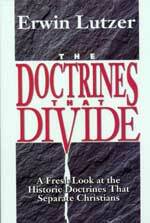 This book prepares people for Antichrist! Is 2 hours long. Also has 150 colorful PowerPoint slides. "Israel: God's Timepiece -- Will Arab, Israeli Conflict Begin World War III?" 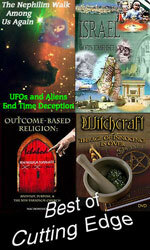 -- Both the Bible and the Illuminati Plan say that Israel is the key to the timing of all Last Days events. Watch Israel, as Mr. Dominick explains in great detail. Secret Mysteries takes the mystery out of America's history. 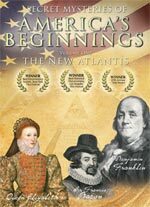 This video unfolds the fascinating history behind the founding of America, and exposes the esoteric underbelly of its design. Why is Washington D.C. build on the 77th Meridian? Are the Revolutionary War cities really built in perfect alignment with Stonehenge? If America was founded as a Christian nation, why are many of its symbols, buildings, and monuments based on Pagan traditions? There is no doubt that much of America’s national heritage was Christian, but just as a coin has two sides, our national heritage has a second side – one based squarely on occult secret societies and their values. NOTE: YOU WILL NOT BELIEVE THE ENDING OF THIS VIDEO!! Books and Videos Shown In "Secret Mysteries"
* William Still -- "New World Order 2 -- Three World Wars Plan Confirmed"
Did you know that noted Christian Evangelist Charles Finney was a Freemason and Lawyer before the Holy Spirit gloriously saved him? 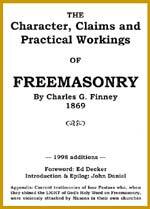 With his intimate knowledge of the rituals, degrees and oaths, Finney devastates all claims Freemasonry makes to being a Christian organization. 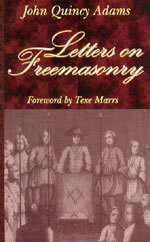 * President John Quincy Adams -- "Letters On Freemasonry: Warning in 1833"
All people -- both Masons and concerned citizens -- will find President Adam's warnings relevant and pertinent to today, because Masonry continues its leadership of the New World Order, as it deftly manuevers nations of the world to accept the coming Masonic Christ. Dr. Stanley Monteith presents one of THE classic expose' of the origins of the Plan of the Illuminati to create the New World Order. Dr. Stan proves the historic fact that the Illuminati created Freemasonry, House of Theosophy, Socialism, Communism -- all as parts of the Dialectic Process to produce the New World Order. Many researchers consider this video to be the absolute best in proving the true historic roots of the Plan to produce the global dicatorial government of Antichrist. Antichrist cannot arise unless a substantial number of people believe in the lie propagated by "The Da Vinci Code", written by Dan Brown. Thus, the very fact this book was written carries significant End of the Age connotation! 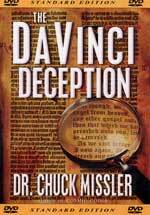 Erwin Lutzer rebuts the claims made by "The Da Vinci Code"
Was Jesus really married to Mary Magdalene? Did they actually have children who intermarried with the French royal family? Has the church been hiding the truth for centuries? In his bestselling work of fiction, The DaVinci Code, Dan Brown blurs the lines between history and fiction, giving the impression they are one and the same and that Christianity is based on a lie. In The DaVinci Deception, renowned theologian, Dr. Erwin Lutzer, examines the "facts" behind the bestselling novel, clarifies the issues involved in the deception, and equips readers with the truth. Millions of people have read Dan Brown’s best seller, the DaVinci Code. This book, though a novel, claims to be based on historical facts that not only question, but blatantly attack the deity of Jesus Christ and the divine inspiration of the Holy Scriptures. In a few months, millions more will be able to see the cardinal doctrines taught in the Word of God directly affronted on the giant silver screen. For on May 15th, The DaVInci Code, starring Tom Hanks and produced by Ron Howard will be released in theaters world wide. The release of this movie will breed a new widespread questioning of fundamental Christianity across the globe. The culmination of 12 years of research 150 power point slides shown in this video including timelines famous art and illustrations. What's Beyond Freemasonry? That is the question investigators have pondered for decades. 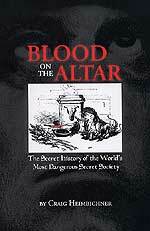 Craig Heimbacher furnishes fascinating answers as he probes deeply into the sordid arena of "Ordo Templi Orientis" -- OTO - the higher, more secret society to which elite Masons "graduate" upward. This book pursues and reveals the "shape-shifting" nature of OTO. Key members of both the Left and Right wings of political parties throughout the world obediently serve this terrible Satanic master. This author reveals the "Command Process" that guides these elite political leaders. The "Law of Thelma" is the guiding principle operating behind the visible outer organization. This book is recommended to all who want to clearly understand why events occur the way they do and why key leadership acts the way they do. This society demands its followers -- key public leaders of our time -- develop a method of concealment unprecented in history, including lying, subterfuge and simple misdirection. * William Schnoebelen -- "Blood On The Doorpost Spiritual Warfare Manual"
Today's spiritual warefare is just as powerful as it was during the time of Jesus' ministry! As the Holy Spirit withdraws His Restraining Power as Paul said He would do [2 Thess 2], the Enemy of Our Souls is rushing in to carry out spiritual warfare against God's Elect. But, too few Christians know how to battle against the spirit world. Bill Schnoebelen, former Witch, Freemason, and Mormon, teaches you step by step how to wage spiritual warfare using the Blood of Jesus Christ as your power. This manual is for those prayer warriors, pastors, Christian leaders and anyone having trouble getting "Victory In Jesus" in these Last Days! 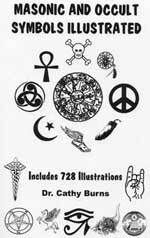 Cutting Edge Ministries considers this book to be the best in showing the various symbols in Freemasonry, and providing the deepest, esoteric meaning. 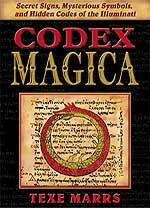 * "Codex Magica -- The Innermost Secrets of the Illuminati Beckon You!" New Bookstore Feature -- "The Reading Room"
Since so many people like to read a portion of a book before they purchase it, we have decided to establish a "Reading Room" within the Bookstore. We have contacted the various authors to get their permission to post selections of their books. Right now, we only have portions for a few books available, but shall be adding many more in the coming weeks. You will be able to get a much better idea as to whether you would like to purchase this book. In coming weeks, we shall be adding a "Viewing Room", where you can view a portion of a video. I. As the firestorm continues to erupt over President Bush's unbelievably bad decision to turn over control of key American ports to Islamic interests, stories which have broken since we posted our article sheds new light on this whole sorry episode. If you have not read our article, we encourage you to do so: NEWS2114 -- "President Bush -- Playing 'Dumb and Dumber' In The Leasing of Six Vital Sea Ports To Islamic Interests". Before we begin discussing this new stories, let us first consider an overview of this President in light of the 9/11 attacks. Consider the official story, as ludicrous as it may seem. On the morning of 9/11/2001, nearly 20 Islamic militant terrorists successfully carried out an unbelievably effective commando operation, simultaneously seizing four giant civilian airliners and flying three of them skillfully into their targets -- despite not one of them having any demonstrable ability to fly huge Boeing 757 and 767 airliners! Shortly after the first tower was attacked, it collapsed as completely as if a skilled building implosion team had deliberately set charges -- the fact is, the building imploded, falling straight down and pulverizing into tiny fragments. Within a couple of hours, the FBI had fingered the identity of their suspects! All of them were Muslim and many of them came from Saudi Arabia, supposedly a firm American ally. Stories on TV abounded suddenly, detailing how ridiculously easy it had been for these men to get into the United States and get into position to carry out this attack. The FBI, CIA, Pentagon, and the White House simultaneously began calling this a "terrorist attack". TV and printed stories suddenly blossomed, detailing how vulnerable America was to being infiltrated and attacked. Even though stringent restrictions were in put into place at airports, cries for similar measures at America's other ports of entry were largely unheeded. We learned how easy it is for an enemy to come across our borders with both Canada and Mexico. We learned how porous our sea ports were if an enemy truly wanted to infiltrate men, material and weapons into this country. The first action which President Bush should have taken was to militarily secure our borders and our shipping ports. That decision is logical and from my standpoint as a former member of US Army Intelligence, that action should have been taken immediately and completed within weeks following 9/11 -- if Islamic attackers really did carry out the 9/11 attacks. Alert after alert after alert was issued over the next few years -- all of them bogus as we detail in NEWS1888 -- and nearly every one of these fake alerts carried the same message, i.e., America is no better prepared for a terrorist infiltration and attack than she was prior to 9/11! Discerning Americans just shook their heads in bewilderment, for the logical plan of action after 9/11 would have been to seal off our borders and our sea ports, firing all foreigners who owned or worked these ports, turning them over to Americans to own and operate. After all, Conservatives railed against President Clinton's decision to turn control of an important Los Angeles port to the Chinese in 1998; their opposition to his plan nearly forced Mr. Clinton to back off. Conservatives complained that, since China is a likely adversary to the United States at some point in the future, we should not be turning over operational control of this Los Angeles port to a Chinese company. That objection is as valid today as it was in 1998. Yet, today, a Republican, "Conservative" President has backed the sale of the operational control of six key American ports to a country whose religion is Islamic, the very religion which spawned the 9/11 attackers (if you believe the official government storyline). This action goes beyond being indefensible -- it is plainly stupid. We give all the reasons this decision is unbelievably dumb in our new article, NEWS2114, so we shall not repeat them here. One of the major reasons this decision is so patently ridiculous is that this White House has perfected the ability to ascertain beforehand the possible and probable political fallout of any Presidential action. Therefore, policy advisers had to have known that Americans all across the board would react terribly negatively to this news. When President Bush faced reelection in 2004, we heard polls which stated that his only clear advantage over John Kerry was his image as a tough, no-nonsense, protector of America from further terror attacks. Late in the campaign, the Bush propaganda machine actually had the gall to state that, if Kerry was elected, America could expect another terror attack soon. Just days ago, President Bush announced that his Federal Government had prevented another terror attack, against a skyscraper in Los Angeles. While this story showed many signs of being bogus, flash polls indicated that Bush's level of popularity had risen 12%! As the rest of the President's foreign and domestic policies are slowly being shredded, his image as a tough guy who knows how to protect Americans against the next Islamic attack is the only issue keeping his approval ratings in respectable double-digits! Now, this really dumb decision may ruin even this last tiny segment of popularity, prestige, and competency the President still enjoys. II. Now, let us review some of the new stories which have appeared since we wrote NEWS2114, stories which verify the conclusions we reached in this article. "WASHINGTON, Feb 22 (Reuters) - For almost five years U.S. President George W. Bush has warned Americans to fear terrorism, but now those words may come back to bite him. The president, who has cast himself as America's protector against terrorism and Islamic militancy, has been thrown on the defensive by a bipartisan revolt over his administration's approval of a state-owned company from the United Arab Emirates assuming operation of six major U.S. seaports. Bush and his aides have argued that the United Arab Emirates is an anti-terrorist ally and that the company would have no security role. But even Bush allies, like South Carolina Republican Sen. Lindsay Graham, have called the deal 'politically tone deaf'." Can you imagine this response? When early in my retail buying career, my mentor sternly warned me again and again never to attempt to "defend the indefensible". In the Corporate world, that tactic will get you demoted and/or fired in a hurry. Yet, this is exactly what President Bush is doing: defending that which is indefensible. Americans from New York City to Kansas City will instinctively know that the a president engaged in mortal combat against a religious enemy (Islam) has no business turning over operational control over key American sea ports to a company steeped in Islam. As a matter of fact, I believe a strong majority of Americans would instinctively support taking all control of all sea ports away from foreign businesses, whether the foreign company be British or Islamic. Since President Bush says America is at war with militant Islam, he should have acted long ago to seal off all ports of entry into this country, entrusting all of them to American control. That is common sense, and that is a defensible action -- neither of which President Bush exhibits, either now or in the aftermath of 9/11. "I heard Sen. Lindsay Graham, R-S.C., describe Homeland Security Chief Michael Chertoff's defense of turning over managing U.S. port operations to an Arab company as 'tone deafness' ... I don't know what's crazier and more politically inept – the original decision to contract the management of six major U.S. ports in New York, New Jersey, Baltimore, Philadelphia, Miami and New Orleans or the White House's continued defense of the idea in the face of overwhelming criticism. You tell me: Is Bush tone deaf or brain dead?" Farrah is making the same point we made: it is not wise to attempt a defense of the indefensible. When you do, you just make yourself look stupid and incompetent. For a sitting President, maintaining an image of competence among the electorate is of paramount importance -- or at least it used to be. When attacking John Kerry during the 2004 Presidential Election, Bush's electoral machine spent millions of dollars on advertising to convince Americans that only President Bush had the steel backbone and the competence to successfully defend against a future terror attack. Defending the decision to allow an Islamic company to take operational control of our most vital sea ports certainly has the potential to destroy that image of competence. Wow, that is heavy-duty criticism for a former Bush supporter like Joseph Farrah. However, you have to ask yourself whether his sudden turn of opinion is representative of what might become a "sea change" in public backing for this President. If that kind of paradigm shift is occurring, you can then understand the danger this President is in, along with his backers, including Evangelical Christianity. If President Bush is politically ruined, and brought crashing down, Fundamental Christian would likely crash and burn with him, and could very well be set up for very harsh persecution -- just like the Bible foretells will happen at the End of the Age. Joseph Farrah then speaks directly to the issue of the vulnerability of our entire sea port system. "Need I remind the Bush administration of what it already knows? That our port security even now is less than stellar. If terrorists are determined to bring nuclear weapons into this country, and if they don't already have enough of them here to destroy American cities, entry through ports are the most likely means of entry. Of course, they could also drive them across the unguarded border, more proof – four-and-half years after Sept. 11, 2001 – that the Bush administration is irresponsible, suicidal, insane or incompetent. Politically tone deaf doesn't begin to explain such lapses in judgment." Again, I am stunned, for this is brand new territory for Joe Farrah. While he has been mildly critical at some points along the historic path President Bush has led this nation, I have never seen such strong words. This next segment provides even more strong words of blistering criticism. "Stunning. I'm practically speechless. Words fail this writer ... Americans are scratching their heads. They're also wondering if the Republicans are still the party of national security. Historically, this has been one reason Americans had for choosing Tweedle Dum from Tweedle Dumber. But this decision has got to give Americans pause to consider if that is still the case ... It's time to wonder if America's political leadership can really protect this country. It's time to wonder whether the federal government has abdicated all responsibility of its constitutionally mandated role of defending the homeland. Bush has no cover on this." Indeed, President Bush has "no cover"on this issue, because he has made himself look incompetent in trying to defend the indefensible, even to the point of threatening to veto bills if Congress tries to intervene!! That rhetoric makes him look like a little kid stomping his feet in anger because he cannot get his own way. Therefore, it does sound like this President has lost another key political ally. Farrah stops just short of calling for Impeachment; can that be far behind? This next story is really and truly sad, for we now learn that we have been misinformed as to how many sea ports this Arab company will control: the number is 21, not 6!! Can this news get any worse? We are literally inviting the fox to guard the chicken house! "WASHINGTON, Feb. 24 (UPI) -- A United Arab Emirates government-owned company is poised to take over port terminal operations in 21 American ports, far more than the six widely reported. The Bush administration has approved the takeover of British-owned Peninsular & Oriental Steam Navigation Co. to DP World, a deal set to go forward March 2 unless Congress intervenes. P&O is the parent company of P&O Ports North America, which leases terminals for the import and export and loading and unloading and security of cargo in 21 ports, 11 on the East Coast, ranging from Portland, Maine to Miami, Florida, and 10 on the Gulf Coast, from Gulfport, Miss., to Corpus Christi, Texas, according to the company's Web site." As a Congressional bipartisan group attempts to stop this horrendous agreement, the Bush White House declares that it views existing law differently than Congress views it! "Sen. Hillary Clinton, D-N.Y. said after the briefing she expects swift, bi-partisan approval for a bill to require a national security review before it is allowed to go forward. At issue is a 1992 amendment to a law that requires a 45-day review if the foreign takeover of a U.S. company 'could affect national security'. Many members of Congress see that review as mandatory in this case. But Bush administration officials said Thursday that review is only triggered if a Cabinet official expresses a national security concern during an interagency review of a proposed takeover. 'We have a difference of opinion on the interpretation of your amendment', said Treasury Department Deputy Secretary Robert Kimmitt. In all my decades of following politics, I have never, ever, ever seen a presidential decision so flawed and so dangerous to the lives of innocent Americans! This decision is simply beyond any reasonable explanation! It is so stupid, it must be on purpose -- to complete the political ruin and discreditation of this President. This next story reveals that a secret agreement between the White House and this Islamic ports company is further flawed in that it sets aside two very basic security measures designed to ensure that a foreign-owned ports company does not operate the ports in a manner which would compromise national security! Thus, not only is the very idea of turning so many ports over to an Islamic company most stupid and flawed, now we learn that the Bush Administration has further compromised security be not requiring this Islamic company to comply with even simple, basic security rules! These "other routine restrictions" may turn out to be very important in any future terrorist scenario. For ease of understanding, I have listed these points individually, in bullet format. * "To keep copies of business records on U.S. soil, where they would be subject to court orders." * "To designate an American citizen to accommodate U.S. government requests." Now you can see that, far from just allowing an Islamic company to gain operational control over 21 vital American ports, the Bush Administration also agreed that they did not have to comply with basic, common-sense rules which were only imposed to maintain some degree of control over what is shipped through the ports. Can you imagine allowing this Islamic country to keep their business records off American soil, which means no American court can exercise any oversight whatsoever over this UAE company! This agreement represents the highest degree of stupidity! If Islamic intelligence agents began to infiltrate this UAE company, they could operate with virtual impunity, knowing that not one page of their written documentation would ever be seen by American court officials! And, if US courts cannot exercise jurisdiction, neither can the FBI or the CIA, I am sure. So, now, our "War On Terror" President is acting in a manner which can only be described a ridiculously incompetent! Or, in compliance with a global plan. Now, let us return to the UPI story, above, to see that the United Arab Emirates does, indeed, have troubling ties to terrorism! "Central to the debate is the fact that the United Arab Emirates, while a key ally of the United States in the Middle East, has had troubling ties to terrorist networks, according to the Sept. 11 Commission report. It was one of the few countries in the world that recognized the al-Qaida-friendly Taliban government in Afghanistan; al-Qaida funneled millions of dollars through the U.A.E. financial sector; and A.Q. Khan, the notorious Pakistani nuclear technology smuggler, used warehouses near the Dubai port as a key transit point for many of his shipments." Did you catch that pertinent statement? "they are really dependent on facility operators to carry out security issues"
If Islamic terrorists are working at one of these terminals, the efforts of the Coast Guard to maintain security could easily be subverted and defeated. And, since any port-operating company is supposedly cooperating with the Coast Guard to maintain security, officials of that company know the internal workings of the Guard and the tactics they are using! And, remember, it takes only one container coming through one port to devastate American cities! Even the Council on Foreign Relations (CFR) is concerned! "In a January report, the Council on Foreign Relations pointed out the vulnerability of the shipping security system to terrorist exploitation. Since the Sept. 11 terrorist attacks, the U.S. customs agency requires shippers to follow supply chain security practices. Provided there are no apparent deviations from those practices or intelligence warnings, the shipment is judged low risk and is therefore unlikely to be inspected. CFR suggests a terrorist event is likely to be a one-time operation on a trusted carrier 'precisely because they can count on these shipments entering the U.S. with negligible or no inspection'." Mr. Muldoon, quoted above, provides a real-life example as to how quickly an Islamic country could turn against the United States.
" "The concern is that the UAE may be our friend now ... but who's to say that couldn't change, or they couldn't be infiltrated. Iran was our big buddy', said Muldoon." These facts verify the warning in our recent article, NEWS2114, that every single Islamic country allied to the United States has deep Islamic fundamentalists embedded within. And, every one of these countries lives close to a fine line in the sand, where they could be overthrown any minute by the rising tide of Islamic fundamentalism. Every day, more average Islamic citizens in every country on earth are further angered and alienated by news of more American atrocities against Muslim people, more torture and sexual humiliation news, more news of brutal tactics against Muslims in Iraq, and more news of the deepening disaster being caused by American Depleted Uranium munitions! Rising Islamic fundamentalism is weakening every pro-Western Arab country on earth. No deal with any Islamic country is safe from extremists. Stories are also floating around detailing the fact that President Bush and certain of his officials had financial ties to this UAE company. Since Bush and all his officials are filthy rich already, and since every one of them knows that the Illuminati plans to dissolve this current Industrial Civilization, they would not likely be motivated to allow the destruction of America for some more profits. These men have more money than they will ever spend; now, they are in this script for political power. As President Bush begins to "twist in the wind", can anyone think of "impeachment"? III. Iraq erupted into such violence and bloodshed between the Sunni and Shi'ite sects that the entire country seemed to be trembling on the verge of Civil War! Such a war would greatly complicate President Bush's plan to extricate himself from Iraq, as any retreat out of the country could be seen a "leaving under fire", i.e., military defeat. This great violence began when "police" blew up the dome of one of the most revered Shi'ite mosques in Iraq. "On Wednesday, a large explosion destroyed the golden dome of one of Iraq's most famous Shiite religious shrines in Samarra, the U.S. military said, sending protesters pouring into the streets. Police believed there were victims buried under the debris of the Askariya Shrine but had no immediate casualty figures. The attack on a major Shiite religious symbol raised fears of an escalation in sectarian violence. Thousands of demonstrators gathered near the shrine, waving Iraqi flags, Shiite religious flags and copies of the Quran ... Religious leaders at other mosques and shrines throughout Samarra, about 60 miles north of Baghdad, denounced the attack." "SAMARRA, Iraq -- Insurgents posing as police destroyed the golden dome of one of Iraq's holiest Shiite shrines Wednesday, setting off an unprecedented spasm of sectarian violence. Angry crowds thronged the streets, militiamen attacked Sunni mosques, and at least 19 people were killed. The gleaming dome of the 1,200-year-old Askariya shrine was reduced to rubble ... the violence seemed to push Iraq closer to all-out civil war than at any point in the three years since the U.S.-led overthrow of Saddam Hussein. Many leaders called for calm. 'We are facing a major conspiracy that is targeting Iraq's unity', said President Jalal Talabani, a Kurd. 'We should all stand hand in hand to prevent the danger of a civil war'." "U.S. Ambassador Zalmay Khalilzad and the top American commander in Iraq, Gen. George Casey, called the attack a deliberate attempt to foment sectarian strife and warned it was a "critical moment for Iraq." President Bush and other world leaders rushed to condemn this most serious attack. Remember how enraged Muslims got over a cartoon caricature of the Prophet Muhammed? Can you imagine the fury which can be released when one of the most holy shrines is attacked and severely damaged? "President Bush pledged American help to restore the mosque after the bombing north of Baghdad, which dealt a severe blow to U.S. efforts to keep Iraq from falling deeper into sectarian violence. 'The terrorists in Iraq have again proven that they are enemies of all faiths and of all humanity', Bush said. 'The world must stand united against them, and steadfast behind the people of Iraq'. British Prime Minister Tony Blair also condemned the bombing and pledged funds toward the shrine's reconstruction." This enraged outcry was so immediate and so powerful that observers immediately knew a Civil War could explode. "IT WOULD BE ODDLY REASSURING if Al Qaeda were behind Wednesday's hideous bombing of the Golden Mosque in Samarra. That would leave a shard of hope that civil war in Iraq might still be averted. If the bombers are ever found, and if they prove to be the same Sunni rejectionists who seem hellbent on inflaming Shiite rage, Iraq's sectarian strife may soon make the 15-year Lebanese civil war seem almost quaint ... It's hard to imagine what purpose the bombing of one of the holiest Shiite shrines could serve other than to incite a civil war. Alas, the bombers appear to be succeeding. The violence is worsening; Shiites have retaliated by burning Sunni mosques by the score; and the strife is spreading across Iraq." "The political portents are also ominous. The Iraqi Accordance Front, the main Sunni bloc in parliament, has pulled out of negotiations on the formation of a new Iraqi government ... Whatever the United States could have done to prevent this predictable (and predicted) crisis, its power to play peacemaker now is distinctly limited ... But those in the most influential position — perhaps the only people who can avert a conflagration in Iraq — are Sunni and Shiite religious leaders across the Muslim world. " "And, these are the very leaders who are currently at each other's throats." Some people see the ominous, shadowy figure of Iran lurking above and beyond this violence. "TEHRAN, Iran (AP) -- Iranian President Mahmoud Ahmadinejad blamed the United States and Israel on Thursday for the destruction of a Shiite shrine's golden dome in Iraq, saying it was the work of 'defeated Zionists and occupiers'. Speaking to a crowd of thousands on a tour of southwestern Iran, the president referred to the destruction of the Askariya mosque dome in Samarra on Wednesday, which the Iraqi government has blamed on insurgents ... some Islamic clerics and the Lebanese Hezbollah organization blamed the United States. 'We cannot imagine that the Iraqi Sunnis did this', said the influential Sunni cleric Sheik Youssef al-Qaradawi, an Egyptian who lives in Qatar. 'No one benefits from such acts other than the U.S. occupation and the lurking Zionist enemy'." "Radical Iraqi Shiite cleric Muqtada al-Sadr, who cut short a visit to Lebanon after the blast, said blame must be laid either with the Americans or the Iraqi government." From March 20, 2003, when Coalition Forces were pouring across the border into Iraq, the leadership of Iran laid out a very startling plan on how they would defeat the Americans in Iraq and throughout the Middle East. This article is NEWS1910, "Has Iran Ignited Many Fires To Set Off Middle East Regional War?" This plan envisioned bogging American forces down in the "swamp" of Iraq, and then starting so many other fires around the Middle East that President Bush could not respond adequately to them all. This attack could bog American forces down deeply into the Iraqi quagmire, making it very difficult for President Bush to escape the country with his dignity intact. If Iran ordered the bombing of this Shi'ite mosque, her plan was brilliant, for many Muslims will be all too ready to believe that America and/or Israel had ordered the attack. "“The only viable strategy, then, may be to correct (Iraq’s) historical defect and move in stages toward a three-state solution: Kurds in the north, Sunnis in the center and Shiites in the south” Leslie H. Gelb, president emeritus of the Council on Foreign Relations; from “Three-state Solution” NY Times 11-25-03'." Is it possible that President Bush has really been pursuing a "three-state solution" in Iraq? That goal makes sense if you realize that Iraq had been so dominant in regional politics under the repressive regime of Saddam Hussein. Given the explosive hatred between the Kurds of the north and the Sunnis and Shi'ites of the south, splitting the country into sectarian states would prevent the country from ever launching another 10-year war as Saddam did against Iran could be plausible. "There’s no telling who was behind the bombing of the al-Askariya Mosque. There were no security cameras at the site and it’s doubtful that the police will be able to perform a thorough forensic investigation. It was a bold assault that strongly suggests the involvement of highly-trained paramilitaries conducting a well-rehearsed plan ... The public outrage at the desecration of one of the country’s holiest sights has reached fever-pitch and its doubtful that the flimsy American-backed regime will be able to head-off a civil war. "It is difficult to imagine that the perpetrators of this heinous attack couldn’t anticipate its disastrous effects ... The belief that the attack was the work of American and Israeli covert-operations (Black-ops) is widespread throughout the region ..."
We encourage you to read this full news article. If you thought the furor was terrible over the Muhammed cartoons, you "ain't seen nothing yet". Iraq truly trembles on the brink of civil war. IV. As the drumbeat of war continues against Iran, a story suddenly appears which casts the timing of the attack into January, 2007! "A US military action against Iran's nuclear facilities has entered a practical stage, according to a Saudi newspaper. The report, published Sunday by al Watan daily, claims the American intelligence identified 23 nuclear facilities in Iran while intelligence bodies of other countries added to the list eight facilities. All of these are expected to targeted by US warplanes if diplomatic efforts to stop Iran's nuclear facilities fail. "According to the report, the US army will need five days to one week to complete the strike. However, US military experts claim the attack should be carried out no later than January 2007, because on that time Iran's nuclear development enters the "red phase", i.e. the nuclear facilities would be dangerous to strike due to fear of radiation." As we have stated before, President Bush has been breathing fire and brimstone threats against Iran since August, 2003, but has pulled back each time. The date of an attack (ranging from March 28, 2006 to January, 2007) for a Western attack on Iran has consistently been bantered around, and may actually be true. However, as we have repeatedly stated, Israel is the key to the timing of world events, both in the Illuminati Plan and in Biblical Prophecy. Therefore, we have concluded that this war will not begin until Israel is ready to go to war against her Palestinian enemy -- and that means that Israel must complete her withdrawal of the 80,000 settlers from the West Bank. Cutting Edge has consistently maintained that, once Israel does completely remove her settlers, war can begin; conversely, until that withdrawal is complete, the attack on Iran will not occur. Israel seems a very long time away from withdrawing her settlers. And, if the political campaign to discredit Bush is to reach its climax, we might be looking at late next year before impeachment proceedings work their way forward. We may never see an attack on Iran, but if we do attack her, this President must be ready for World War III, for that is exactly what would occur. Speaking of World War III being a reality if Iran is attacked, let us go on to our next article. The reason that "physical evidence for a nuclear weapons program in Iran simply does not exist" is because Iran is not now actively pursuing a nuclear weapons program. Cutting Edge readers will remember our oft-repeated news story that Iran has possessed nuclear weapons since early 2002! If you have not yet read our article on this subject, we encourage you now to do so (Read NEWS1660). "'Now, as to whether or not Iran has tested something like that. Iran does have nuclear weapons,' Baluyevsky said. 'Of course, these are non-strategic nuclear weapons. I mean these are not ICBMs with a range of more than 5,500 kilometers and more." Iran evidently bought functioning nuclear weapons "off the shelf" from Pakistan. She does not need to undertake her own internal weapons developmental program. However, the West desperately needs a scare tactic in this region to keep the "Wars and Rumors of Wars" campaign operating in high gear. Toward this end, this three-year rhetorical campaign makes a lot of sense. Oil prices are kept high and politicians can continue to scare the American public into allowing their precious freedoms to be diluted and eroded bit by bit. As this article states, the Bush Administration is using the same rhetoric which he used against Iraq to justify the invasion, rhetoric which we now know was false. * "Iran boasts ground forces estimated at 800,000 personnel, as well as long-range missiles that could hit Israel and possibly even Europe." * "Much of the world’s oil supply is transported through the Strait of Hormuz, a narrow stretch of ocean which Iran borders to the north. In 1997, Iran’s deputy foreign minister warned that the country might close off that shipping route if ever threatened, and it wouldn’t be difficult." * "An attack on Iran would also inflame tensions in the Middle East, especially provoking the Shiite Muslim populations. Iran, Iraq, Saudi Arabia, Lebanon could be destablized." * "Attacking Iran could also tip the scales towards a new geopolitical balance, one in which the US finds itself shut out by Russia, China, Iran, Muslim countries." * "Russia and China have developed strong ties recently, both with each other and with Iran." If Russia and Iran suddenly began selling oil in Euros rather than in dollars, the American economy would be so badly hurt that we simply could not afford to wage foreign war. While this author did not actually say so, one immediate reaction to an attack on Iranian facilities would be an Iranian attack across the southern border with Iraq, at the city of Basra. An undermanned British military force could be annihilated by an attack by overwhelming Iranian forces. 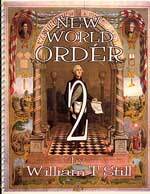 What did New World Order author, H.G. Wells predict about the start of World War III? V. Did Israeli General Naveh speak prophetically when he said Jordan's current king could very well be the last King in the Hashemite Dynasty? "Acting Prime Minister Ehud Olmert on Thursday called Jordan's King Abdullah II and apologized for GOC Central Command Major General Yair Naveh's prediction that the Hasehemite kingdom will be toppled by an 'Islamic axis'. Olmert told Abdullah that Naveh's comments did not reflect Israel's official positions ... Israeli officials said after the call that Olmert and Abdullah had agreed to meet after Israel's March 28 general election, a sign, they said, that the brouhaha was behind them." What remark caused such a deep "brouhaha" between Israel and Jordan? What could this Israeli general have possibly said that could have angered Jordan so much? "Naveh noted that at least 80 percent of Jordan's citizens are Palestinian and said that, due to regional threats including Hamas' rise to power, King Abdullah is liable to be the last Hashemite monarch to lead the kingdom ... Speaking in Hebrew with a simultaneous translation into English, Naveh addressed the deepening Iranian influence in the region and the close ties between Palestinians in the West Bank and Jordan. 'Given that Jordan is 80 percent Palestinian, we might - heaven forbid - reach a situation in which Abdullah is the last Hashemite king', Naveh said." Now, that is news! I did not realize that fully 80% of all Jordanians were Palestinian! This fact means that, when Israel carries out the prophesied annihilation of every man, woman and child of the "House of Esau", as foretold in Obadiah 15-18 (NEWS1422, NEWS1620, and NEWS2095), her leaders are going to have to attack to destroy every Palestinian in Jordan. The provinces of Edom and Moab historically contain the predominate Palestinian populations. Does the Bible contain such a terrible and devastating attack on Edom and Moab at the End of the Age? It certainly does. In Isaiah 34. God then vows to totally destroy the land and the economy of the "House of Esau" -- the Palestinians. Therefore, one has to ask whether these remarks by IDF General Naveh might have been a slip of the tongue, as he might very well have known the Israeli plan to annihilate all Palestinians, both within Israel and Jordan? If this is the case, then the prophetic drumbeat continues to beat even more loudly! VI. Even as Western nations were racing to confer some degree of legitimacy upon the terrorist group Hamas after they took the official reins of the Palestinian Authority, it did not take long for Hamas to reveal that their true inner heart of bloody savagery against Israel still beats! "Khaled Meshal says that a first order of business for the new PA terrorist government will be the release from PA prison of the murderers of Israeli Cabinet Minister Rehavam Ze'evi. One of the new government's first priorities, Khaled said, would be the release of the four killers of Israeli Tourism Minister and retired IDF general Rehavam Ze'evi (Gandhi). The four are confined to a form of prison in Jericho, under the watch of British and American soldiers. They participated in the murder of Ze'evi (pictured) in a Jerusalem hotel in October 2001, rendering him the 188th victim of the then-one-year-old Oslo War." One of the objections which Conservative Jews continually publicized during their opposition to Sharon's policies is that, as soon as a Palestinian politician gained political power, they would begin releasing Palestinian prisoners who had "Jewish blood on their hands". Sharon's office immediately rejected this possibility, but here we are, gazing upon the first truly brazen Palestinian terrorist government, and what is high on their agenda? Releasing the murderers of Israeli Tourism Minister Rehavam Ze'evi! This assassination was so bold and so terrible, we wrote an article on it. We encourage you to take a moment to read it, for you will be fascinated by the details of this story. This article is NEWS1563. Tension raged so high afterward, some observers were afraid World War III might begin. Now, let us return to this featured story for more details of this impending prisoner release.
" 'It is obvious that the release of [Ze'evi's killers] will be at the top of our agenda', Meshal said. The four have been incarcerated in Jericho since April 2002, when, under Israeli and American pressure, the PA held a speedy trial and judged them to prison terms of up to 18 years... The government of Israel has long held that the release of the murderers of an Israeli Cabinet minister would be a red line that cannot be crossed. Defense Minister Sha'ul Mofaz has said that if they are freed, Israel would 'react with severity'." Hamas was not awed by this threat.
" 'Palmach Ze'evi, son of the slain minister, recently told Arutz-7 that Mofaz is 'good at making declarations'. He said that by raising the issue, the PA is trying to test Israel and Acting Prime Minister Ehud Olmert, 'to see if he is as strong as he is trying to appear'. Neither was Meshal concerned about Mofaz's threat. 'Israel always threatens', he said, but it doesn't scare us. We will do what the people need, whether it angers Israel or not'." At last the world knows: Hamas is a murderous organization whose leaders know nothing of justice or law. They care only that Israel is one day annihilated. * "PRESIDENT BUSH -- PLAYING 'DUMB AND DUMBER' IN THE LEASING OF SIX SEA VITAL PORTS TO ISLAMIC INTERESTS!" - When the Bush Administration decided to lease six critically important sea ports to an Islamic company, average Americans gasped in shock and disbelief. How could our "War On Terror" President turn over control of six vital sea ports to an Islamic company -- when we are treated daily to warnings of WMD dangers from Islamic militants? * "FOCUS ON THE FAMILY SHOWS ITS TRUE COLORS -- AGAIN AND AGAIN -- Part 2 -- Teaching The Lie of "Intelligent Design" As Though It Was Synonymous With Biblical Creationism! Dr. James Dobson has long promoted synthesis between Evolution and Biblical Creationism -- teaching that, perhaps God used billions of years of Evolution to create the universe and Planet Earth! Why should we be surprised at his backing of "Intelligent Design"? * "Olympic Gods and C. S. Lewis" -- The countless similarities between Olympic themes and the books by C. S. Lewis remind us that human nature doesn't change with time. In spite of cultural shifts through the ages, humanity faces the same timeless temptation to trade Biblical absolutes for the allure of man-made myths. The lures of the Olympics -- titillating tales, spiritual ideals, triumphant power, fleshly sensuality, and the vision of peace and unity -- match Lewis' enticing stories. The Lord Jesus had goings forth for His people as their representative before the throne, long before they appeared upon the stage of time. It was "from everlasting" that He signed the compact with His Father, that He would pay blood for blood, suffering for suffering, agony for agony, and death for death, in the behalf of His people; it was "from everlasting" that He gave Himself up without a murmuring word. That from the crown of His head to the sole of His foot He might sweat great drops of blood, that He might be spit upon, pierced, mocked, rent asunder, and crushed beneath the pains of death. 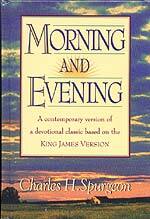 His goings forth as our Surety were from everlasting. Pause, my soul, and wonder! Thou hast goings forth in the person of Jesus "from everlasting." Not only when thou wast born into the world did Christ love thee, but His delights were with the sons of men before there were any sons of men. Often did He think of them; from everlasting to everlasting He had set His affection upon them.